Make the most of the summer with part-time work that pays well and helps sharpen your skills! While your non-teacher friends and family think that summer means three months of sleeping late and lazy days for you, you know the truth. For most teachers, summer is about hustling to make up for those lost paychecks or taking advantage of opportunities to sharpen your skills. The good news is that a good summer job allows you to be flexible with your time and energy. 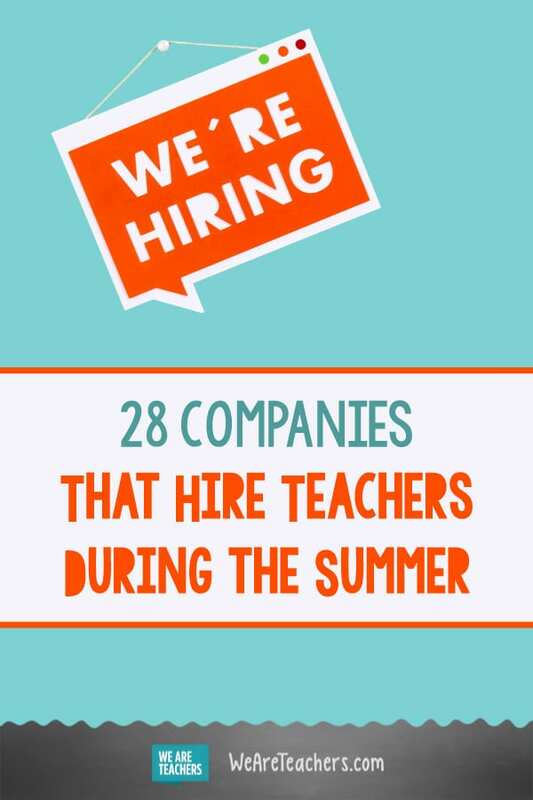 There are plenty of companies that offer summer jobs for teachers, including summer camps. Need a break from the kiddos? 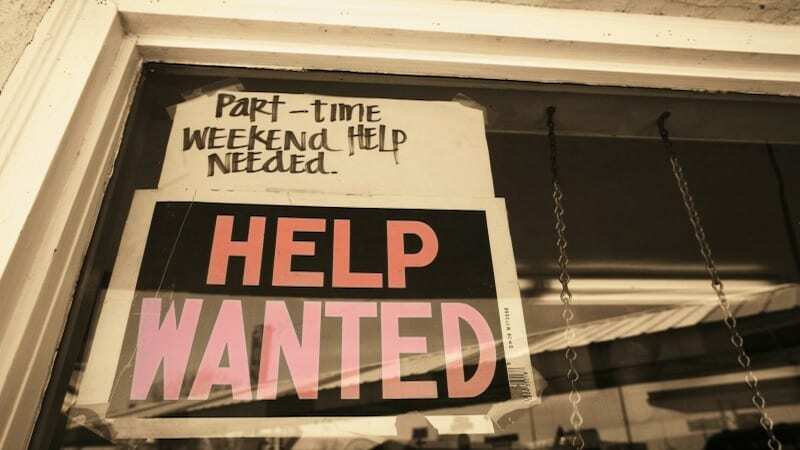 We’ve got those summer jobs covered too! YMCAs throughout the country offer great summer camp programs for kids of all ages. If you want an active summer to soak up some vitamin D (a tough feat inside the classroom) then being a camp counselor is a great option. Even if you crave a break from kids, this gig is more laid back and less rigid than school. Plus, you’ll have fun, stay fit, and make money. Youth Digital teaches kids how to create with technology, from 3D printing to coding to game design. They offer online courses year-round, but they also have in-person summer camps available throughout the country. Summer camps need teachers! Visit their website to see if they have a summer camp near you that’s hiring. IRD aids students with reading comprehension and literacy from pre-K through their senior year of high school. A unique part of the program is the way that parents are involved every step of the way. Now, this job isn’t quite as laid back as other options because you’ll first go through (paid) training. And, once complete, you’ll be asked to teach 10–14 classes over four to five days a week—including weekends—and regularly evaluate students’ progress, review curriculum, and more. Still, it’s a good job for teachers who love curriculum. Heard of summer learning loss? Catapult Learning’s Summer Journey program is dedicated to eliminating it. You can teach at-risk students who need reading or math intervention or help provide enrichment with courses that engage students in a variety of subjects. This is a great summer job if you want to teach summer school without the commute. Connections Academy hosts online public schools in a variety of states for grades K–12. Teaching during their summer session is a great way to keep your lessons plans and curriculum ideas fresh in a virtual classroom you head up from your living room. Ever dream of spending the summer abroad? Prefer to stay home but love working with students from around the world? EF International’s summer programs offer the chance to do either. Teach ESL to a group of students who’ve come to the US for a few weeks or travel overseas and teach the same skills to students in their home country. From test prep to specific subjects, Varsity Tutors connects students to tutors who specialize in the area(s) where the student needs help. And best of all, the sessions take place online or in the student’s home, so you are guaranteed to work on the schedule you want. Plus it’s worth it as, per online reviews, you can expect to earn around $20 per hour. Look! Up in the sky! It’s a bird, it’s a plane, it’s a … drone? Yup, these ubiquitous flying machines are everywhere these days. Drobots Company hires teachers who love STEM and have experience with technology to instruct summer camps around the country. Spend your summer teaching kids to fly with their feet firmly on the ground! VIPKID provides an international learning experience to Chinese children. You could provide one-on-one full-immersion language and content classes based on the US Common Core State Standards. Best of all, it’s a part-time opportunity that you can do from home, while feeling great that you’re using your teaching skills to help children learn English and thrive. Here’s our article explaining how VIPKID works. Kids ‘R’ Kids runs summer camps in a variety of locations around the country for kids up through 5th grade. Each individually owned location does their own hiring, so visit their website to see if there’s a school near you and contact them to find out about summer camp teaching opportunities. Lindamood-Bell invites you to “create the magic of learning” as an instructor at one of their learning centers, using their research-validated programs to teach reading, spelling, language comprehension, and math to learners of all ages. Teachers describe their experience as a Lindamood-Bell instructor as “incredibly rewarding,” and love helping students “develop skills that truly change their lives.” And they reward loyalty, too, by offering $500 signing bonuses for returning instructors. SIG works to provide high-quality educational and social opportunities for academically gifted and talented students. Their three-week summer sessions are offered at major universities around the country, and they hire instructors in STEM, humanities, and visual/performing arts. They hire on a rolling basis for open positions, so the sooner you apply, the better. Happy Swimmers is a nationwide private swim lesson provider. They also place lifeguards at events like pool parties. They love hiring teachers because of the patience and compassion they’re sure to show their swim students. And teachers love working for Happy Swimmers because it’s a fun and different way to use their teaching skills—and you get to spend the summer in the water! But, note that there are strict, non-negotiable requirements, including having two to three summers as a swim instructor already under your belt, a reliable car, and CPR certification. Outward Bound is well known for their wilderness courses, but they also work in urban centers and with at-risk youth. These challenging instructor positions are open to those who look at “risk as a learning tool to be managed, but not eliminated.” If you’re physically fit and looking for a summer of activity instead of relaxation, this might be the job for you. If you know anything about visual art, music, drama, creative writing, or the arts in general, you’ve certainly heard of the famed Interlochen in Michigan. Their summer camps draw more than 3,000 students every summer, and they hire an enormous number of instructors each year. These jobs provide a chance to spend your summer inspiring the most promising arts students from around the globe, while living in a unique artist community with your peers. Spend the summer coaching your favorite sport at a US Sports Camp. From baseball and basketball to field hockey and water polo, kids can learn just about any athletic skill set at these camps. According to their website, each camp director is responsible for hiring their own staff in late winter or early spring. You can call your closest location for possible opportunities or email them directly, using the addresses found here. This company helps families find quality in-home childcare. Lots of families need extra help with childcare over the summer, so take a look at Care.com’s summer nanny jobs to find opportunities in your area. Need a break from kids? Care.com also posts listings for pet care, senior care, and housekeeping. Want to travel and give back to a community this summer? Look into the AmeriCorps VISTA Summer Associate program. It’s designed to allow participants to join an existing AmeriCorps project for 8–10 weeks. You’ll receive a living allowance throughout the season and a stipend or Education Award upon completion. The Education Award can be used to repay qualifying student loans or toward course costs at eligible institutions. Summertime means amusement park time! Families are on vacation, and tourists are aplenty. If you live near a Six Flags, take advantage and nab a seasonal job. Operate rides, sell tickets, host special groups—and of course eat all the cotton candy or nab all the roller coaster time you can handle! If there’s not a Six Flags near you, look into local baseball stadiums or concert venues to inquire about selling concessions or tickets. With multiple theme parks and stores around the country, Disney is always looking for seasonal help. If you live near their parks and resorts, look into the huge variety of positions, including lifeguards, guest services, bus drivers, and so much more. In other areas, Disney stores regularly hire summer sales staff, and you can find all those jobs listed on the Disney Careers website. Have a car? Then you’re hired! The best perk of driving for ride-share apps like Uber and Lyft is flexibility—you set your own hours and schedule. It doesn’t matter if you want to be on the road one day a week or 24/7. It’s a great way to make money (you can earn up to $30 per hour during peak times) while still doing all the things that make summer vacation great, like sleeping in and traveling! Want to play a role in the educational tools students will be using in your classroom? TinkerEd hires educators to give their thoughts and opinions on educational technology companies are developing. Get a sneak peak of what’s coming down the EdTech pike and make a little dough in the process. We get it. No one likes standardized tests, but for now they are a necessary part of school life. Help students be as ready as they can be by working as an SAT/ACT prep instructor over the summer. The Princeton Review (and others, like Kaplan, Huntington Learning Center, and Sylvan Learning) hires test prep instructors. If test prep isn’t your thing, they also hire instructors for different subjects. How does working from home in your PJs sound? Rev is a company that hires people to transcribe or caption audio—from the comfort of their own home. You’ll be asked to take an English and grammar quiz and submit a sample transcription. Once you pass, you can start earning. Rev pays per audio minute, and you’ll receive your money via PayPal every Monday. The faster—and more accurately—you type, the more you can earn. You can also earn more if you know a foreign language and are able to provide subtitles for videos. Is a dog your best friend? If so, the Rover app is always looking dog sitters and walkers. Hanging out at the dog park or just going for a jaunt around the neighborhood—what better way to spend a summer day? Plus you get to choose your own gigs. Win-win. Like driving but not interested in giving people rides? DoorDash is sort of like the Uber/Lyft of food. Someone orders food from a restaurant, you pick it up and deliver it to them. Simple as that. And if you’re a foodie, there’s an extra perk: Since you’re not delivering food from one place, you’re likely to learn about up-and-coming or hidden-gem spots in your city. Use some of the extra money you make to treat yo’self to a good meal. Although HireMyMom charges a quarterly fee of $29.95 for job seekers, in return its posts are not culled from other job sites and instead feature ads from employers who have specifically gone to the site looking for help. The site features a variety of work-from-home jobs, from virtual assistant, to freelance writing and editing, to social media. A federally funded program, Upward Bound helps high school students from marginalized backgrounds prepare for college. Each summer, the program hires for a variety of positions, including summer counselors, teachers, and mentors, that are ideal jobs for teachers on break. If you live near a college or university, check if they host an Upward Bound program and are looking to hire summer help. Know of any other summer jobs for teachers? Come and share in our WeAreTeachers Chat group on Facebook. Plus, check out these great teacher side hustles for making extra money. Is It Scratch Paper or Scrap Paper?